Drawing on scores of interviews with black and white tobacco workers in Winston-Salem, North Carolina, Robert Korstad brings to life the forgotten heroes of Local 22 of the Food, Tobacco, Agricultural and Allied Workers of America-CIO. These workers confronted a system of racial capitalism that consigned African Americans to the basest jobs in the industry, perpetuated low wages for all southerners, and shored up white supremacy. Galvanized by the emergence of the CIO, African Americans took the lead in a campaign that saw a strong labor movement and the reenfranchisement of the southern poor as keys to reforming the South--and a reformed South as central to the survival and expansion of the New Deal. In the window of opportunity opened by World War II, they blurred the boundaries between home and work as they linked civil rights and labor rights in a bid for justice at work and in the public sphere. But civil rights unionism foundered in the maelstrom of the Cold War. Its defeat undermined later efforts by civil rights activists to raise issues of economic equality to the moral high ground occupied by the fight against legalized segregation and, Korstad contends, constrains the prospects for justice and democracy today. It is communion Sunday at a mixed-race church. A black pastor and white head elder stand before the sanctuary as lay leaders pass out the host. An African-American woman sings a gospel song as a woman of Asian descent plays the piano. Then a black woman in the congregation throws her hands up and yells, over and over, "Thank you Lawd!" A few other African-Americans in the pews say "Amen," while white parishioners sit stone-faced. The befuddled white head elder reads aloud from the Bible, his soft voice drowned out by the shouts of praise. 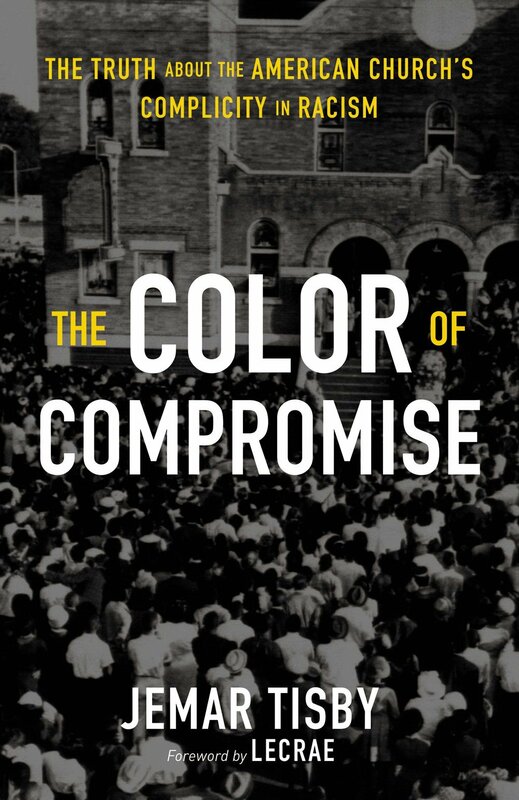 Even in this proudly interracial church, America's racial divide is a constant presence. In The Elusive Dream, Korie L. Edwards presents the surprising results of an in-depth study of interracial churches: they help perpetuate the very racial inequality they aim to abolish. To arrive at this conclusion, she combines a nuanced analysis of national survey data with an in-depth examination of one particular church. She shows that mixed-race churches adhere strongly to white norms. African Americans in multiracial settings adapt their behavior to make white congregants comfortable. Behavior that white worshipers perceive as out of bounds is felt by blacks as too limiting. Yet to make interracial churches work, blacks must adjust their behavior to accommodate the predilections of whites. They conform to white expectations in church just as they do elsewhere. Thorough, incisive, and surprising, The Elusive Dream raises provocative questions about the ongoing problem of race in the national culture. The Letter from Birmingham Jail by Martin Luther King, Jr. was written on April 16, 1963 and is the most eloquent and profound defense of his non-violent program for the Civil Rights movement. In the Letter from Birmingham Jail Martin Luther King, Jr. responds to a full-page advertisement in the Birmingham News, signed by eight white clergy, demanding “A Call for Unity” and challenging the appropriateness of MLK's “outside” involvement in the affairs of Birmingham, Alabama. It's clear that issues of race and equality have come to the forefront in our nation's consciousness. Every week yet another incident involving racial tension splashes across headlines and dominates our news feeds. But it's not easy to unpack the origins of these tensions, and perhaps we wonder whether any of these issues really has anything to do with us. Ken Wytsma, founder of the Justice Conference, understands these questions. He has gone through his own journey of understanding the underpinnings of inequality and privilege. In this timely, insightful book Wytsma unpacks what we need to know to be grounded in conversations about today's race-related issues. And he helps us come to a deeper understanding of both the origins of these issues and the reconciling role we are called to play as witnesses of the gospel. Inequality and privilege are real. The Myth of Equality opens our eyes to realities we may have never realized were present in our society and world. And we will be changed for the better as a result. Daniel Hill will never forget the day he heard these words: "Daniel, you may be white, but don't let that lull you into thinking you have no culture. White culture is very real. In fact, when white culture comes in contact with other cultures, it almost always wins. So it would be a really good idea for you to learn about your culture." Confused and unsettled by this encounter, Hill began a journey of understanding his own white identity. Today he is an active participant in addressing and confronting racial and systemic injustices. And in this compelling and timely book, he shows you the seven stages to expect on your own path to cultural awakening. It's crucial to understand both personal and social realities in the areas of race, culture, and identity. This book will give you a new perspective on being white and also empower you to be an agent of reconciliation in our increasingly diverse and divided world.